Beauty is in the eye of the beholder and who could resist the beautiful lines of a Victorian Steam Launch. Dave Pringle has created Time Lass, a fine example of the type. 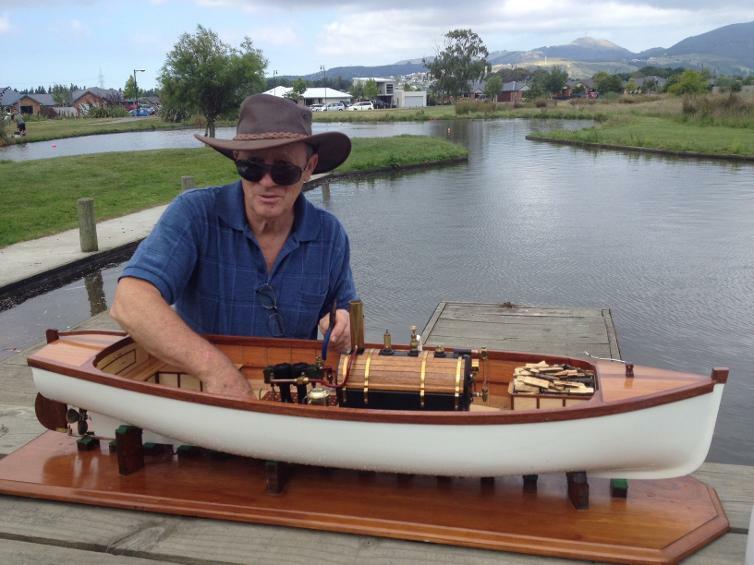 Dave Pringle has recently completed a lovely 1900's era steam launch. 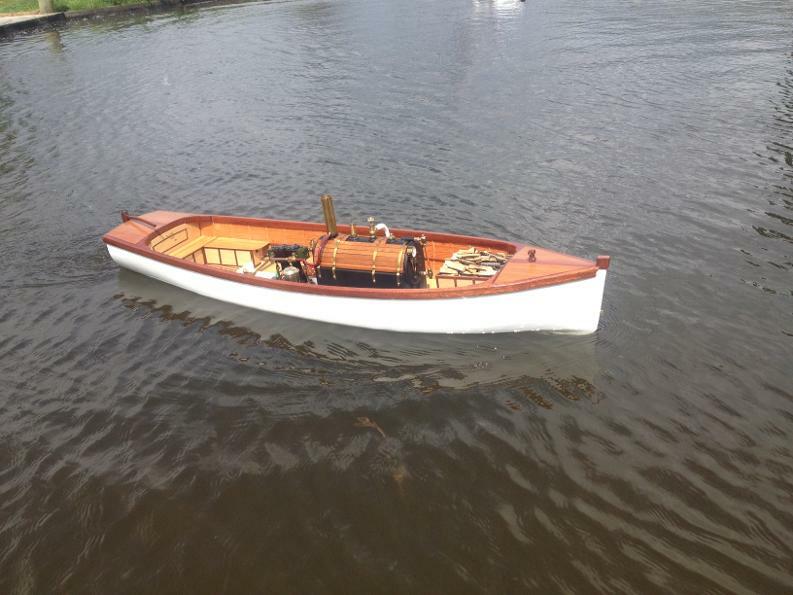 It is not a model of any particular craft but rather typical of a type that was popular on the lakes, rivers and canals in the early 1900’s. Dave’s model is 4ft 2in long and took 2 ½ years to build (including a break attributed to the earthquake). 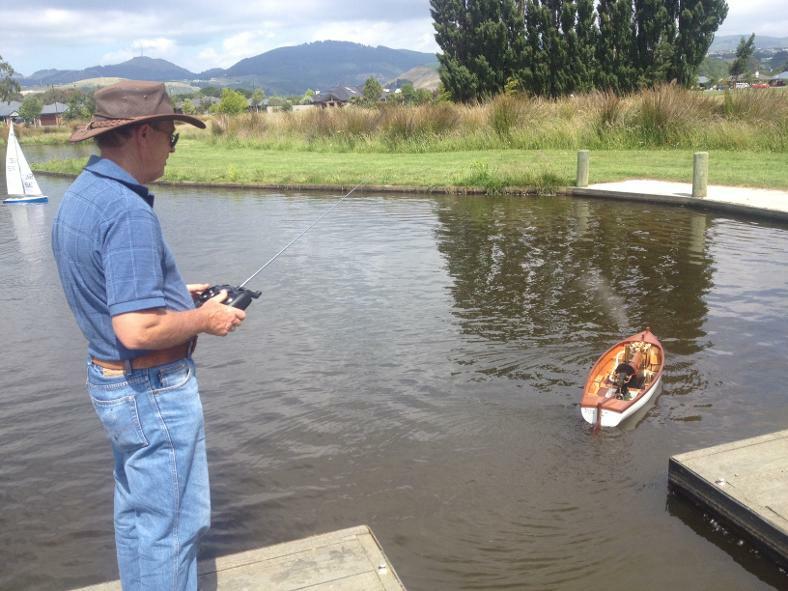 It was the winner of the Harrison Cup for best boat at the 2013 CSMEE Awards. The hull was made using plank on frame techniques using oregon and hempwood. Then all the frames were removed and the outside of the hull fibre glassed. Decks and gunwales are made of mahogany and hempwood. Marine epoxy glue was used in most areas. The model is notable for the finish achieved and the fine level of interior detail from the woodwork to the miniature tool box and kettle for boiling the water for tea. The seat base is 3 ply with mahogany trim and the seat tops are oak. The propulsion system comprises a Stuart Turner Double 10 steam engine driving a variable pitch propeller. Steam comes from a 4in Colonial boiler made in Australia certified to NZ and Australian codes. The boiler is fired by an 80/20 mix of butane and propane. The design of the variable pitch propeller came from an article published in Model Boats.